What is about Christmas? Over the years we've seen our share of Rankin/Bass holiday specials and certainly all of our favorite TV shows have offered up their take on Christmas via the noted Christmas episodes of their series, but what about the weird one-off Christmas specials that aren't really part of a TV series? What about the Christmas specials that have, via the success of a movie, or via a popular personality or character in the pop culture milieu came to the airwaves? 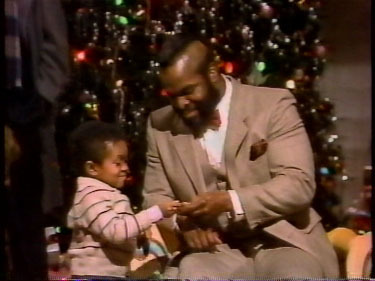 There have been many over the years and what follows are a few of our favorite over-the-top, WTF, crazy, weird and surreal TV Christmas specials. Andy Williams, perhaps mostly unknown today by the current generation, was a popular light singer back in the 1960s and 1970s. Williams had a very clean, Republican look to him and he was best known for his vocal rendition of the standard "Moon River." 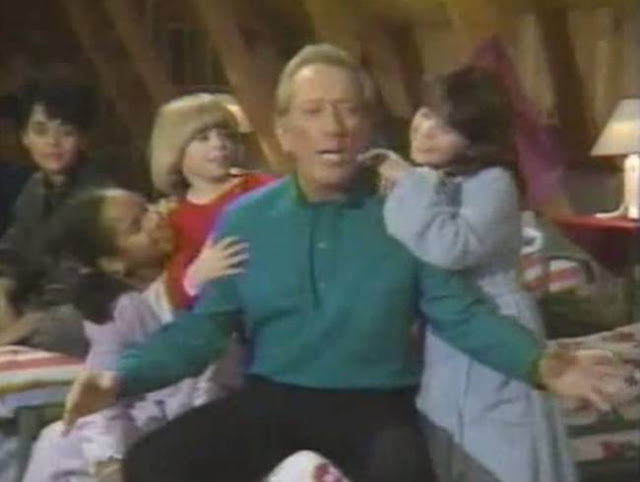 Out of nowhere comes Andy Williams & The NBC Kids Search for Santa in 1985, which featured Williams and all the kids from such popular NBC sitcoms in the early/mid '80s like Punky Brewster and The Cosby Show. Everyone meets up in a isolated cabin in the middle of Nowhere, Finland so that they can help find the missing Santa. Creepy? Weird? Yes! What are all of these kids doing alone with his almost 60-year-old man in the middle of nowhere in a cabin in the woods? On the hyper-success of the Alf TV series, NBC thought that it might be good if they gave Alf his own Christmas special in the mid 80's. Very dark and not cheery to say the least, The Alf Christmas Special finds Alf encountering all kinds of depressed folks like 'Mr. Foley,' who has just lost his wife and is planning to kill himself by jumping off a bridge! Yep, this is no joke. So much for holiday cheer, right? In the end Alf tries to make good by visiting kids in a hospital. He encounters a little girl there who is dying of cancer. And in the end!--we find out that the little girl in the hospital was a character based on an actual little girl who died months prior to the airing of the special. WTF. 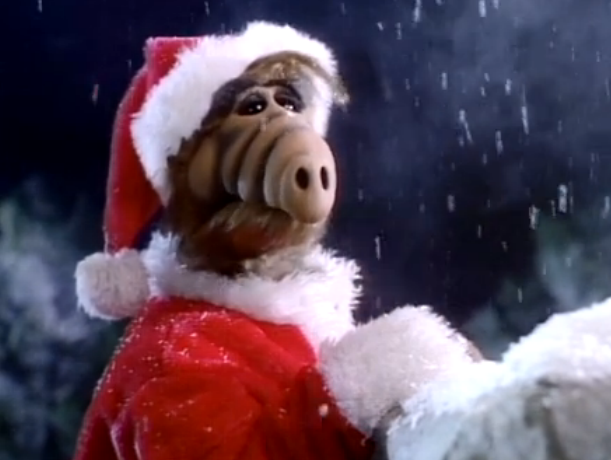 Oh, and The Alf Christmas Special has a laugh track too like a sitcom. Insane. Perhaps the least WTF of the lot in our list this year! Made by Jim Henson, Emmet Otter's Jugband Christmas was made in the late '70s but managed to become a stable on pay cable well into the mid 1980's--certainly most remember seeing it for the first time on HBO. The story? A little Otter, who along with his mother are dirt poor, begin practicing for their local Christmas talent competition. There are elements of The Gift of the Magi story here at play, and in the end, little Emmet Otter and his friends have to go up against the local punk-rockers otters and muskrats who play in a heavy metal band. Yes, it's wonderfully weird, but sincere and cute. You've heard about it, you've read about it, and you can even watch most of it on YouTube now, and yet it, for many, still serves as a car accident that one sees on the road while they're driving by--but they can't take their eyes off of it. 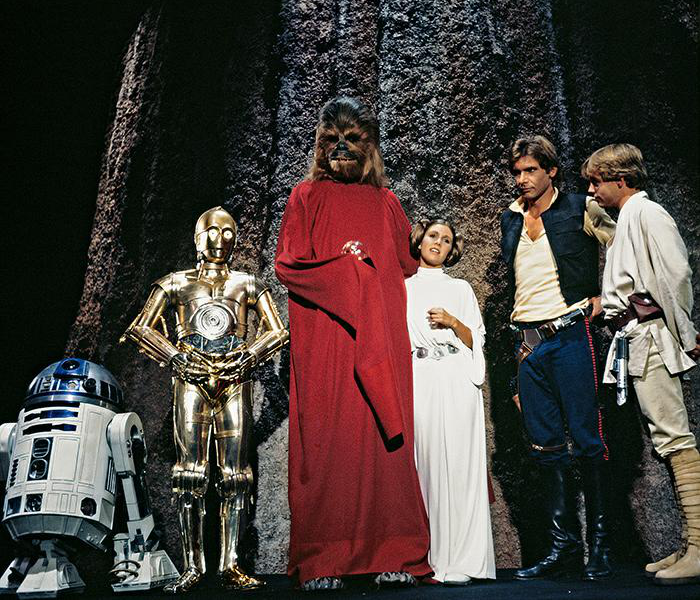 Clearly designed to capitalize on the success of Star Wars, George Lucas gave the go ahead to produce this weird, uncomfortable, holiday special that--to its credit--does give Star Wars fans some background on the origins of Chewbacca--to say the least about it! Throw in some Harvey Korman and Bea Arthur and you've got, what is arguably, the weirdest and most surreal 90 minutes to air on television in the last 40 years. We challenge anyone to think up anything weirder than the Star Wars Holiday Special, you can't, can you?